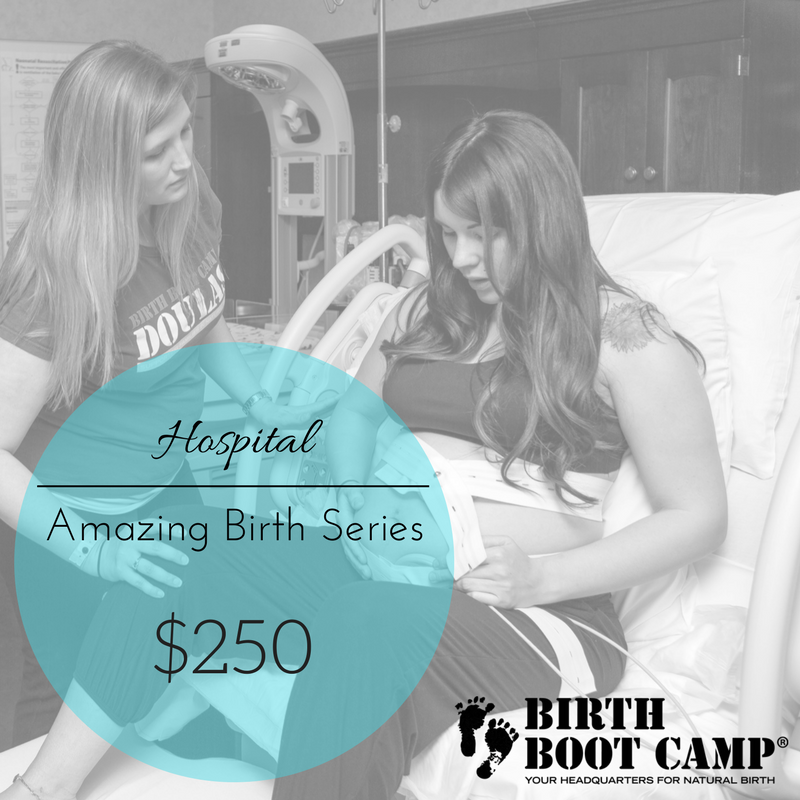 ​If you desire an unmedicated birth, are first-time parents, or are preparing for a VBAC, this class will prepare you on all levels - physically, mentally, and emotionally. Workbook included. This class series runs 25+ hours and is typically taught over a 10-week period, or ten 2.5 hour sessions. Includes "Breastfeeding: The Ultimate MRE" video download. ​ Our hospital class is designed for the couple who wants more. More education. More fun. More relaxation and labor practice. More information on interventions, including medicated and cesarean births. They want to be able to make informed decisions as their birth unfolds. Workbook included. This class is 15 hours in total, typically taught over six 2.5 hour sessions. ​If you are planning to have your baby at home or at a freestanding birth center, this class will give you the nuts and bolts of labor. Learn what happens before, during, and after birth, as well as variations of labor. 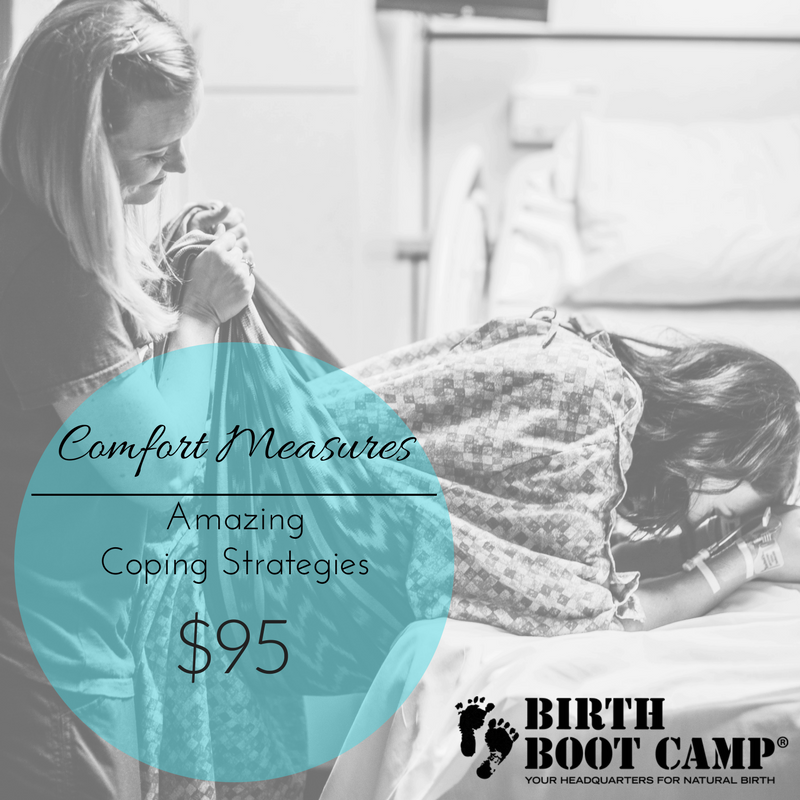 While comfort measures and relaxation are taught in this class series, the “Supporting Arms: Amazing Strategies to Cope With Labor” workshop compliments this childbirth class nicely. Workbook included. Class time 10 hours, typically broken up into four 2.5 hour sessions. ​​Available only in person, our childbirth educators offer a Reboot Refresher childbirth class designed for couples planning their second (or third or fourth) natural birth. 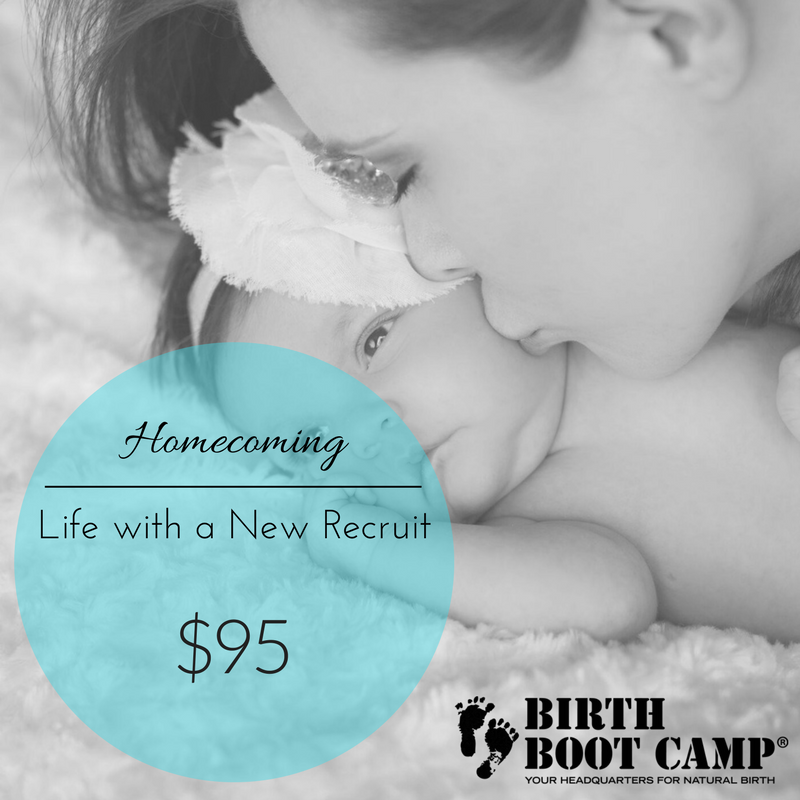 The Reboot Refresher class is tailored just for you to address your particular concerns and needs for your subsequent natural births. Workbook included. Class time approximately 4 hours. ​​This workshop is designed to help both partners build confidence for the big day. You’ll take in lots of relaxation, comfort measures, massage, imagery for labor, as well as communication skills for labor. This workshop does not replace a childbirth education course. The beautiful workbook that comes with this workshop is one you’ll want to spend time with for the duration of the pregnancy. ​​Class time approximately 4 hours. ​ This is your manual to early parenthood! Topics include breastfeeding (3.5 hour video course included), newborn procedures; babywearing, safe sleep, postpartum topics, and baby comfort techniques to help you and your partner get off to a great start with your new baby. Workbook included. SIBLINGS AT BIRTH: They are Expecting Too! The tone for the growing family starts by the way we approach birth as a family. When children are included in the preparation for childbirth with their own birth class, they see the coming baby as a celebration. Workbook included; additional available at a discounted rate. Ages 3+. ​Class runs 1.5-2 hours, depending on the ages(s) of the child(ren). ​Being healthy and low-risk through nutrition and exercise will not only help you in the delivery room, but you will feel better during pregnancy and recover more quickly postpartum. 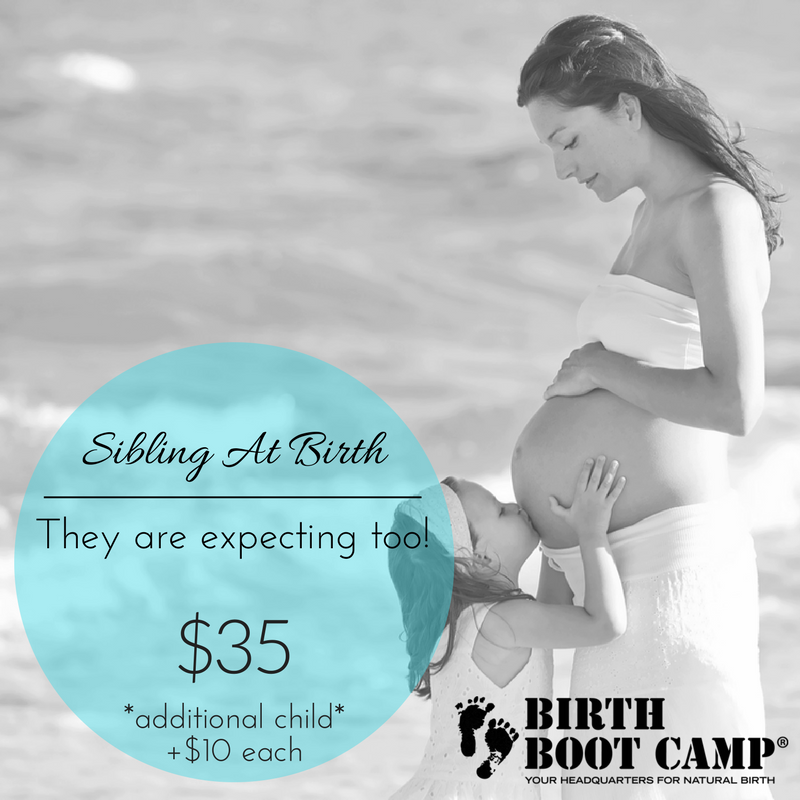 Birth Boot Camp has designed a program especially for you. Build a great physical foundation for your pregnancy, birth, and baby. Read the workbook cover to cover, or use it as a reference. Class time approximately 3 hours.